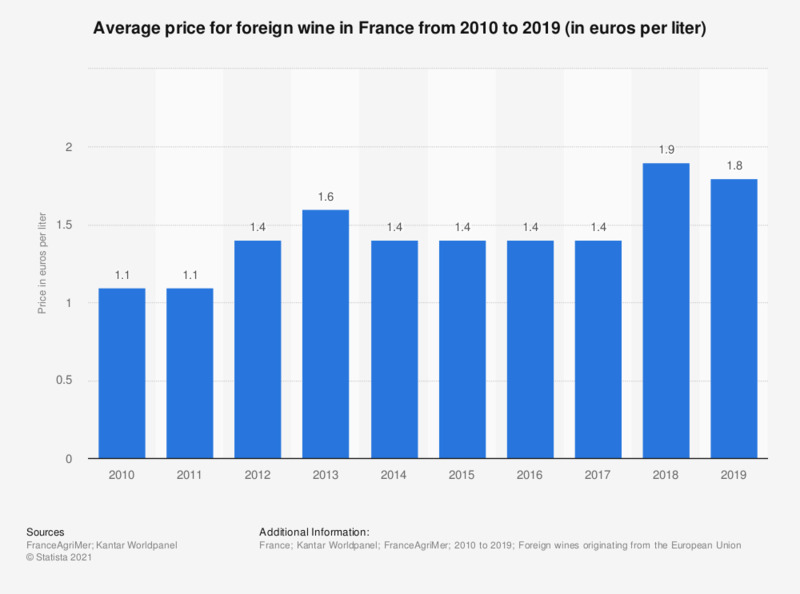 This statistic shows the average price paid for foreign wine in France from 2010 to 2016, in euros per liter. The figures reveal that the average price for foreign wine slightly increased over the years, from 1.10 euros per liter in 2010 to 1.40 euros per liter in 2016. Do you use to drink local wine when you are on holidays?